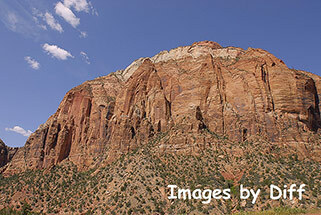 click photo to enlarge We have been to Zion about 5 times now. We did a little hiking this time but not a lot. We took this trip in the Miata because we were going to a Miata event called Miatas in Moab. There were about 300 Miata from all over the US converging on Moab Utah. 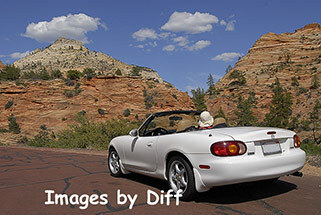 I have to admit it is a lot of fun driving through this great scenery with the top down. 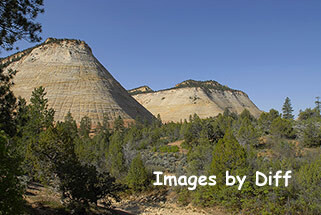 click photo to enlarge Before getting into Zion from the west you pass through the city of St. George. 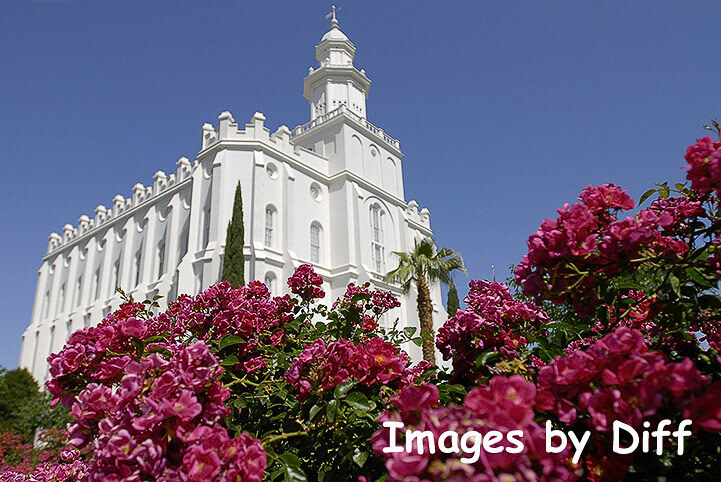 We decided to stop and see the Mormon Temple there. As with all Mormon Temples the place is very beautiful. 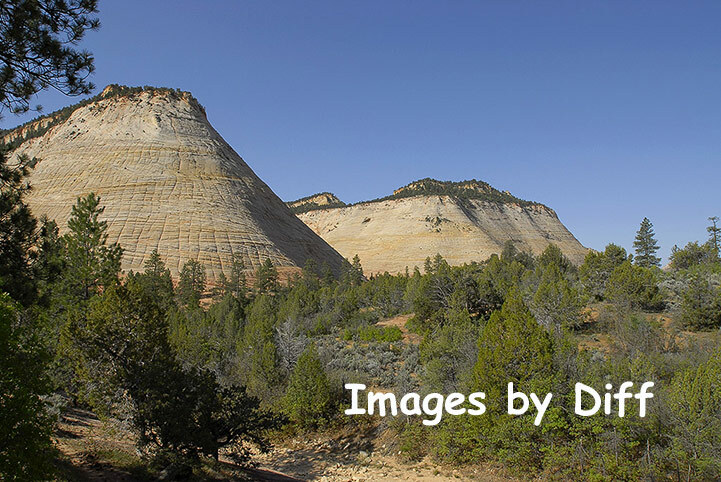 click photo to enlarge Zion National Park is on the edge of the Colorado Plateau. 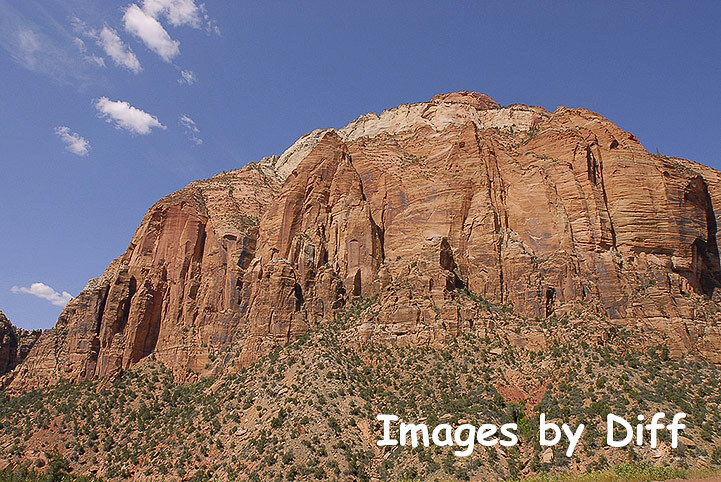 It was formed by earthquakes, uplift of the rock and erosion. 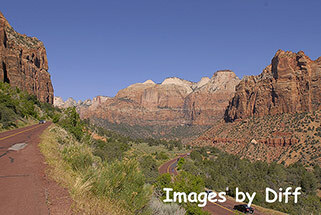 click photo to enlarge The first time we were in Zion was before they had the bus service in the valley. It was pretty impossible to find a place to park and get out. Today you park in a large parking lot at the visitors center and ride shuttles into the valley. This makes for much nice experience. 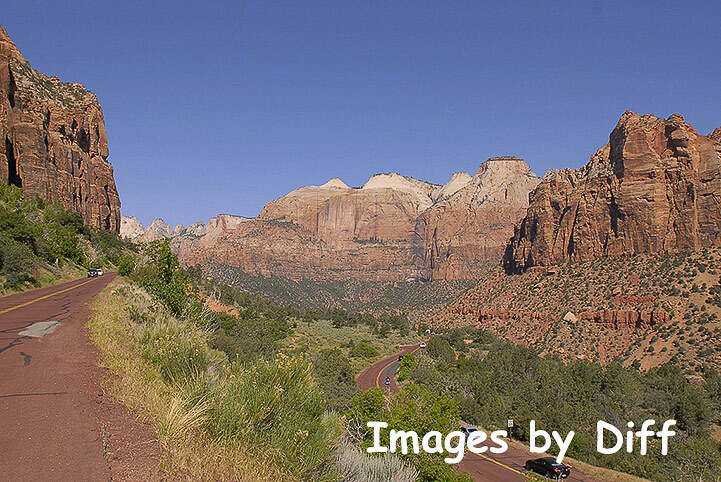 click photo to enlarge This picture is taken just past the Zion tunnel which is 1.1 miles long and was completed in 1930. On this trip we ate at the Zion Lodge and the food was wonderful. Our first experience with National Park food 10 or more years ago was not very positive but in recent years they seem to be getting better at it.